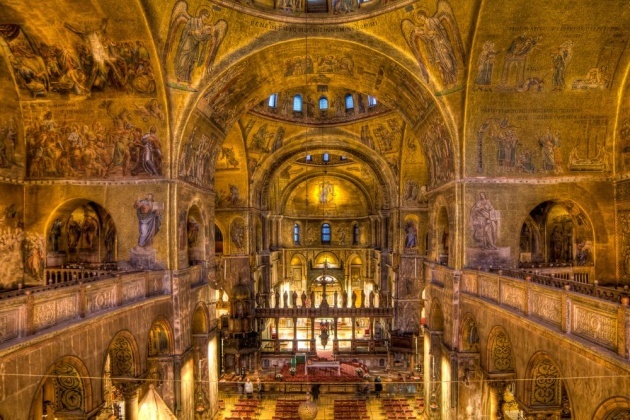 An eye-catching mix of Eastern Byzantine, Western Gothic and even Islamic styles of architecture and art, Saint Mark’s Basilica in Venice, Italy is testament not just to the wealth and power of the Medieval Republic of Venice in northeastern Italy, but to its swashbuckling adventures in the Mediterranean – not just as traders, but as conquerors. 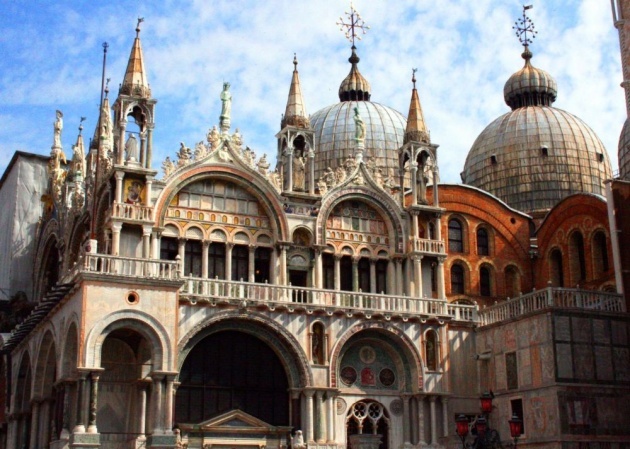 In 828, two rather unscrupulous Venetian merchants stole what they believed were the remains of Saint Mark the Evangelist from Alexandria in Egypt. Declaring Saint Mark their home city’s patron saint, they then built a church to house the body. Instead of hiding its origin, one mosaic in Saint Mark’s Basilica even boasts of the theft – showing the Venetians in question hiding the stolen saint in barrels of pork, which the Muslim Egyptians were forbidden from touching, so that the customs ofﬁcials would n’t inspect their cargo too closely. After the original church was damaged in a ﬁre in 976, it was restored and then rebuilt some time before 1094 around the striking central dome that still stands there today. With Venice at the height of its powers in the 11th to 14th centuries, the city provided naval support to European armies in the Crusades and actually led the Fourth Crusade against Constantinople (now Istanbul in Turkey, but then the Greek Orthodox Christian capital of the Byzantine Empire) and took the opportunity to loot its many religious relics, gold and chalices, as well as four bronze horse statues, to further embellish their Basilica. 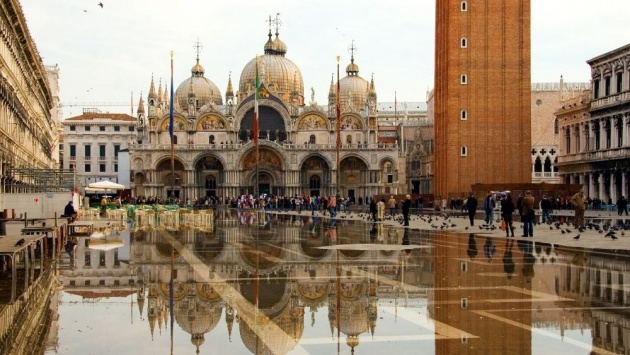 The Venetians even stole mosaics, columns and carvings from various churches and houses of worship across the Middle East to pile onto their own back in Venice.